I bought my first 24s Simca 8 Sport back in the late 1950's, from H. Hudson Dobson, in the bluish-white color. Over the years, it has accumulated some light wear, so when the opportunity came to acquire a new example, I went for it. Like my original purchase, this is the second version, with the thickened windscreen. 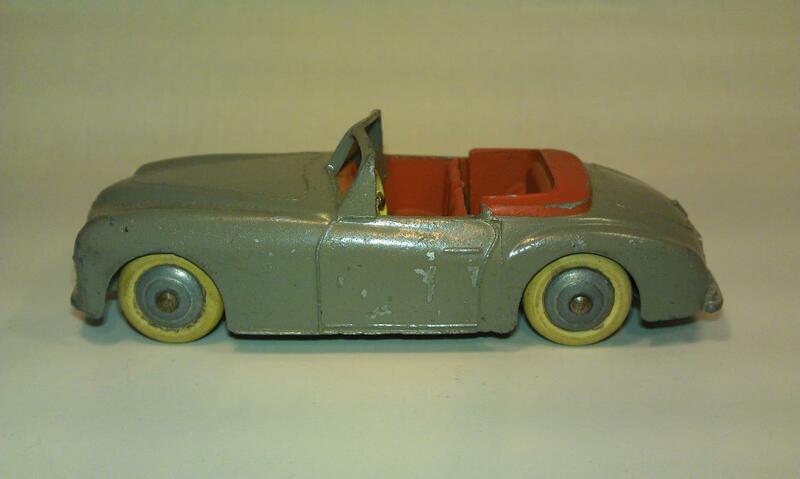 I really like this grey color, with the red interior, and this arrived in excellent condition. 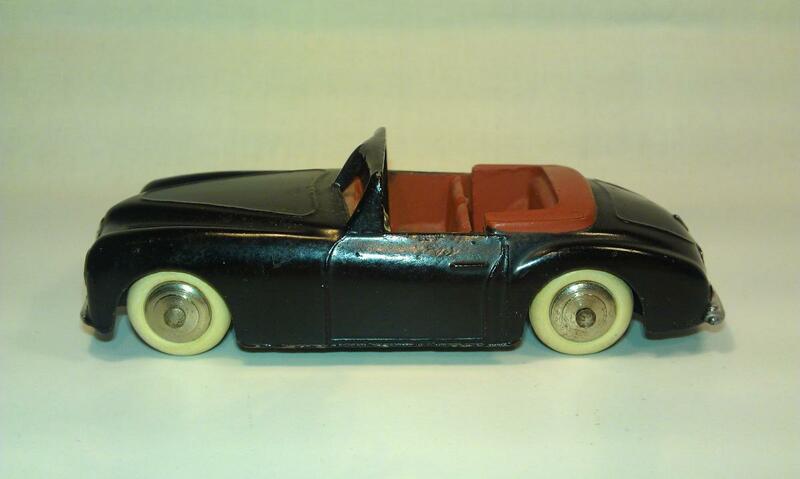 I have always considered this a cousin to the English Austin Atlantic, and the French Dinky factory did a nice job with their casting. When I will know how to put photos on the forum, I will create a new thread on this little Simca. Is there anyone who knows something about the existence of grey colored hubs of a 1st version grey 24s Simca 8 Sport? The inside of the hubs are exactly the same and in my opinion completely original. I have such a model, but I can not find anything about it in my documentation. 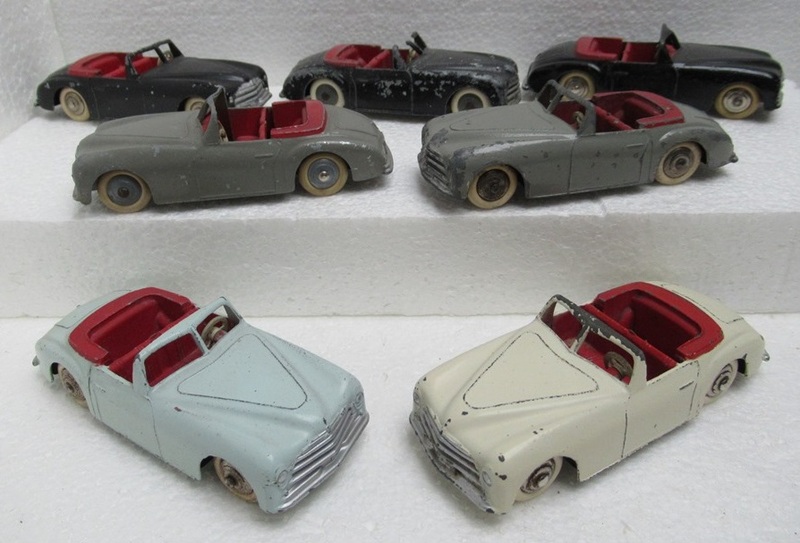 Ramsay mentions only: 1952-1954 First type unpainted convex hubs, white tires, Grey body, red seats. 1954-56 Grey body, red seats, chrome hubs, white tires. I can not say that my hubs look like chrome hubs, but in my opinion they look like grey colored hubs. Jan—-I have a very early 24v Buick Roadmaster that also has plain zamac wheels, that are dull & kind of grey color, while later ones are shiny. I believe that is what you have. There is no such thing as chrome plated spun hubs. There are two different types of ridged hubs : the diecast zamac ones and the spun steel ones which can rust hence they are not chromed. Jacques. Thank you very much for your highly valued and instructive answer. 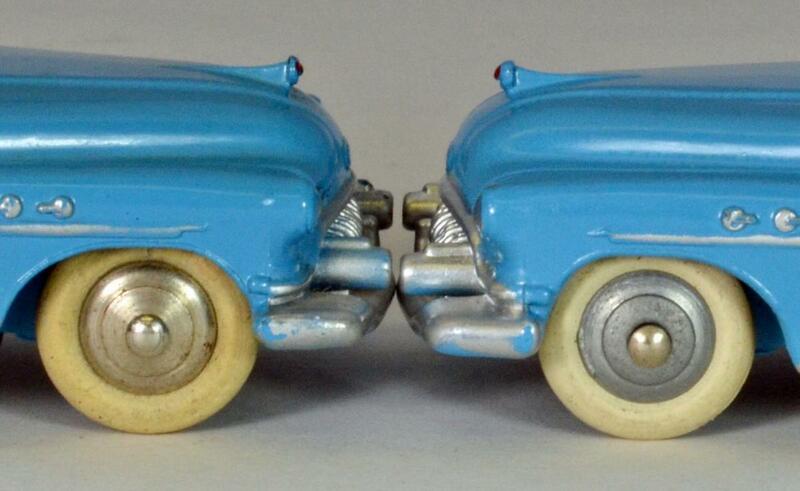 As a final add to this topic, I am showing the front wheels of two of my 24v Buick Roadmaster’s......one with the dull grey wheels, the other with the shiny, polished ones. Seeing these side by side makes it very easy to see the difference. To complete this topic I join 2 photos of my Simca 8 variations.